unique Products that use two uniquely different processes to remove Permanent Hair Color. Each Product has an individual effect on the Hair, this can greatly adjust your Color process that follows. So in true My Hairdresser way, let’s analyze each method before deciding which one is best for your Hair. What's the difference between Color Remover and Bleach? My Hairdresser Color Remover is a revolutionary product. It works by entering the Hair shaft and removing all the artificial (Permanent Hair Colour) colour pigment from the Hair. It leaves the Natural (what your mumma gave you) Hair Color pigment intact. Contains no damaging ingredients, leaving the Hair in great condition and damage free. Does not strip the Hair of Natural Color pigment. You can use it multiple times to remove the Color. Can be used frequently to remove Color Build Up, without causing damage. Perfect for a first time Home Color user, no experience required. Exact processing time of 20 minutes. Will not remove Semi-Permanent Hair Color. Bleach works very differently. Like Color Remover, Bleach enters the Hair shaft, but instead it destroys all color pigment from the Hair. This leaves the Hair with no natural pigment. It is this destruction of the pigment, that makes it a logical choice to use to lighten the Hair. Removes everything from the Hair. Can leave the Hair dry and brittle, with potential damage. Not advised to continuously use, as can result in damaged Hair. Does not have an exact processing time. Will remove Semi Permanent Hair Color. What is Color Build Up? Color Build Up comes from over indulging our Hair. Take your typical root touch up for an example. Instead of just painting your Regrowth, you also paint the ends of your Hair because you want to get some vibrancy back in your Hair and even out your Color. Doing this repeatably causes Color to stack up on top of each other in the Hair shaft. That is Color Build Up. Permanent Hair Color stays in the Hair until it is removed or cut out. The Color and vibrancy may fade over time with washing, but the pigment still remains. If you keep applying Colour on top of the Hair shaft it will get fuller. This means eventually the Color Build Up will stop the Color process from working, while also making your Hair look incredibly unhealthy and brittle. There are 4 main signs of Color Build Up in the Hair. 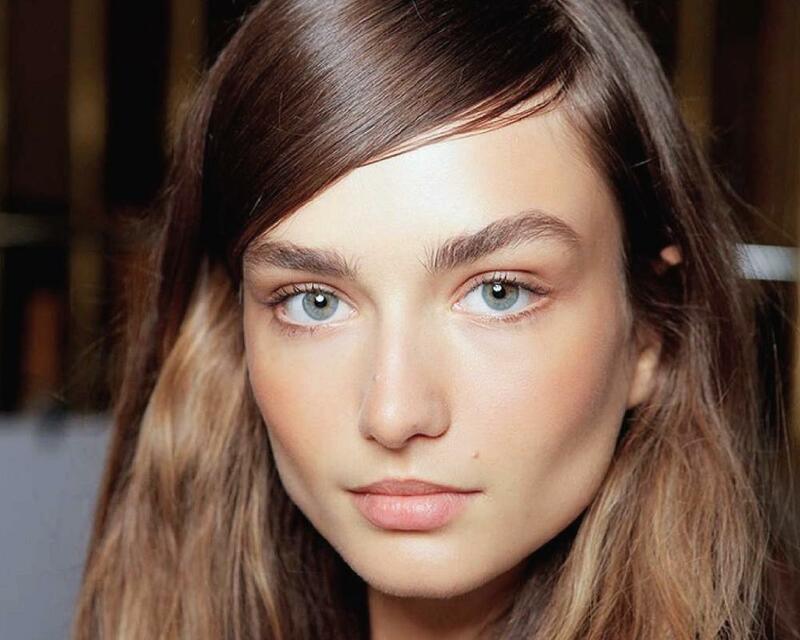 Dull, lackluster Hair is a dead giveaway. Color Build Up makes your Hair look darker and flatter, stripping away the shine and gloss of your previously healthy Hair you used to get complimented on all the time. Next, we look at the Hair's texture. Color Build Up pushes the Hair to the limits creating dry, coarse Hair that even the most expensive treatment can't fix. Color Build Up adds weight to the Hair shaft making the Hair look and feel heavy and weighed down by Color. Bright, fresh Regrowth and dull ends are an easy tell tale sign of Color Build Up. Sound like your Hair? It’s ok. Just like a tea detox, we can have you shedding your Color weight in no time with real results. Even better news, there is a solution other than scissors or bleach. Was that a sigh of relief? Use Color Remover. It will chip away at your Build Up and can be used multiple times without damaging your Hair. Remember that the more Color Build Up you have in your Hair the longer it will take to remove, with darker colors taking longer to remove. But don't worry--it’s worth the effort for how refreshed your Hair will feel once it's removed. So if there has been little to no change to your Hair after your first Color Remover process, you need to Color Remove again to break through the Color Build Up. Tip: You only need to apply the Color Remover to your Colored Hair, leave any Natural Regrowth Product free. After Color Removing you might find the top of your head is lighter or brighter while your ends are still dark without a lot of change. This means your ends are still chock-a-block with Color Build Up. Your next Color Remover application should focus on the areas that have seen little change, as the ends are more likely to have seen more Color than your roots. How do I prevent Color Build Up in the future? Just be aware of the application while you are maintaining your Hair Color. Keep Regrowth touch-ups to your Regrowth, and if you have a rich or vibrant Color that needs a boost through the ends use the Color Top Up Technique to avoid getting too much Color Build Up. Ultimately for us Coloring folk, Color Build Up is a part of life and an occasional Color Remover will do wonders for your Hair health and keep your Hair Color crisp and bright. Not to mention the stability of your Hair's ecosystem.